McLaren Sports Series wil be offered in four different versions. This is the great news that is coming for cars fans all over the world. Curious to know what will be the first model produced? 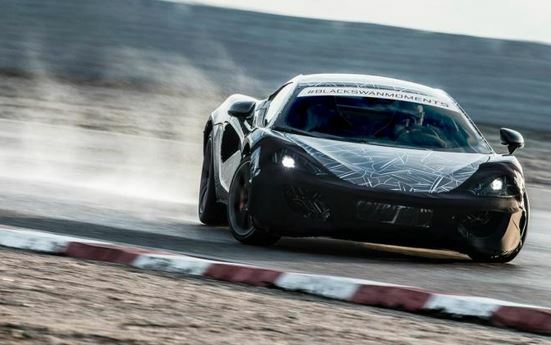 Then you might be happy to find out that the coupe version of new McLaren will be shown at the New York Auto Show this very year. The other three variants will be produced soon too. As known by now after producers finish the coupe, all of their attention will be focused on finishing the second model, which might be an open-top Spider. If things move fast and no problems occur the second model might also be presented at the New York Auto Show. Though nothing is yet official regarding the other versions producers are busy and the rumour market has never worked better. It is believed by now that the third car to be built is a more potent GTR-badged model. Finally the fourth model migt a grand tourer. While leaving the sporty attitudine behind this new car would be focusing more on comfort. List of goodies counts extra storage space. And we saved the best for last as is seems taht the producers are considering even a fifth version that might be a a circuit-only GT3. This entry was posted in McLaren and tagged Disclosed, Future Plans, mclaren, McLaren Sports Series, Sports Series. Bookmark the permalink.